Mahatma Gandhi University (MGU), Meghalaya Recruitment of 140 Nos of Faculty (Teaching) Posts: July 2016. - Jobs4NE : Jobs in Assam and North East India. Mahatma Gandhi University (MGU), Meghalaya Recruitment of 140 Nos of Faculty (Teaching) Posts: July 2016. Mahatma Gandhi University (MGU), a private University in the state of Meghalaya, is looking for Dynamic and Professionally competent individuals to join its Faculty team. Senior retired academicians/ professionals will also be considered for different academic and/or Faculty/ Department level administrative positions. Last date of submission of application: 10-08-2016 upto 5 pm (through email only). Total no of Positions: 140 Nos. i) For Professor/ Associate Professor/ Assistsnt Professor eligibility is as per the UGC norms, which can be accessed at www.ugc.ac.in. 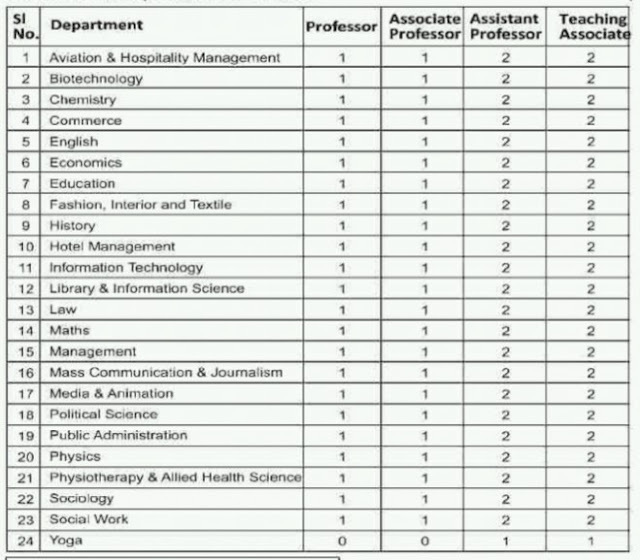 ii) For Teaching Associate candidates must have a good Master's Degree (55% and above) in the related subject. Pay: Salary will be as per the UGC Meghalaya State Government norms. Salary will not be constraint for deserving candidates. How to Apply: All applicants are requested to submit the application in the pescribed format through email only at: vacancy@mgu.edu.in. No hard copy of application will be entertained. Note: No copies of certificates/ testimonials are required at this stage, so please don't attach the same with the application. Before Submission of application, please refer the instruction available at: www.mgu.edu.in/jobs/instruction.pdf. Tags: Meghalaya, Post Graduate, Private Sector, State Govt.